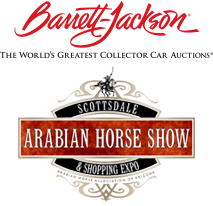 Fred Astaire Dance Studios is a proud sponsor of the Fifth Annual Bentley Scottsdale Polo Championships: Horses & Horsepower. They will be hosting field-side ballroom dancing featuring their captivating dancers demonstrating the definition of perfect dancing through style and grace. The Master of dance himself, Mr. Fred Astaire, co-founded their company. He wanted to establish a chain of studios under his name to make sure that his techniques would be preserved and passed onto the public. Today, numerous Fred Astaire Franchised Dance Studios are thriving, they are required to maintain the highest standards of excellence through their National Dance Board and Fred Astaire Franchised Dance Studios curriculum certification.